Aegis is a world-leading outsourcing services partner with more than two decades of leadership in total customer lifecycle management. 50,000 employees across 50 locations with presence in 11 countries serving verticals such as BFSI, Telecom, healthcare, travel and hospitality, consumer goods, retail and technology and energy, and utilities. Aegis specialises in bespoke solutions that cover the entire spectrum of customer and business experiences across business processing, technology, and shared services; and offers customised engagement models to further facilitate the ease of doing business. Aegis is wholly-owned by the Essar Group — a USD15 bn conglomerate. Aegis enables business experience through strategic services targeted towards people, process and technology to deliver a truly consistent experience across the services industry. These solutions add up to a platform that enables a common business experience for our clients and customers. Aegis Global Academy: the academy's first endeavor, Institute of Customer Experience Management (ICEM) is delivering first-of-its kind program focused solely on customer experience management and customer-centricity. The industry-specific customer experience managers are created through the rigorous training received at Aegis Academy' post graduation certification program, SQC, IIM Indore and COPC are partners in delivering this program. Aegis extends the superior business experience beyond traditional outsourcing by offering transformational outsourcing and shared services – truly becoming the balance-sheet partner to our clients. Aegis enhances the business experience by providing customer satisfaction analysis, customer loyalty, and brand acceptance. 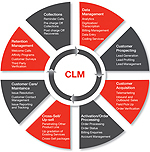 Aegis CRM is the company's flagship service, accomplishing higher consumer lifetime values. 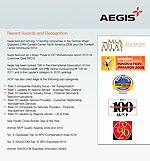 Aegis' recent awards and recognitions. 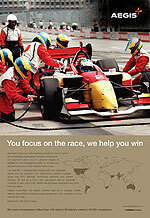 You focus on the race, we help you win. Our global expertise gives you the same experience everywhere.